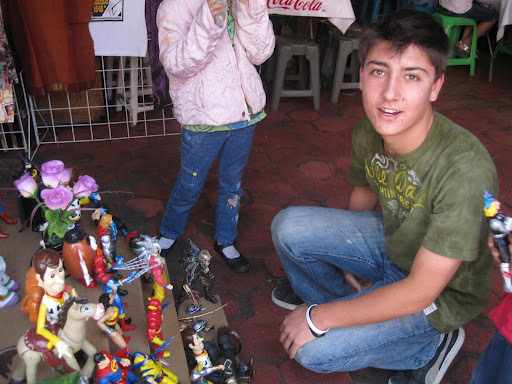 Travelogue Spring Break 2011, Day 9, Domingo Pascuas: A lazy Sunday in Zacatecas | ¡VidaMaz! After eight busy days, we promised the kids and ourselves that Easter Sunday would be very restful. We all agreed to sleep in until whenever and other than eating and maybe seeing a movie, we had no plans. 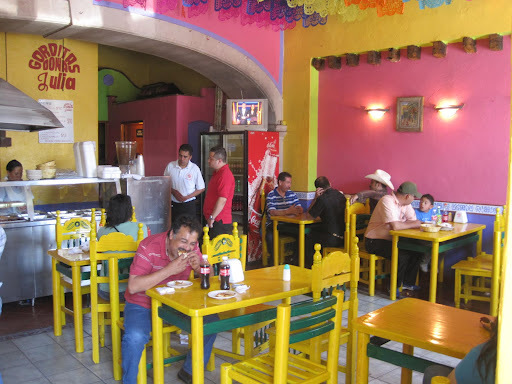 After we were all up and showered (around 1:00 pm), we ventured out to eat. 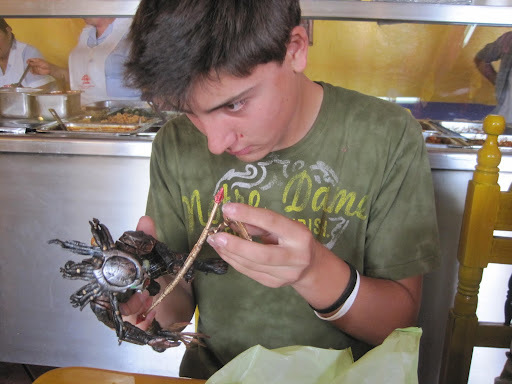 On the way, Danny found something he just couldn’t resist playing with and eventually buying. 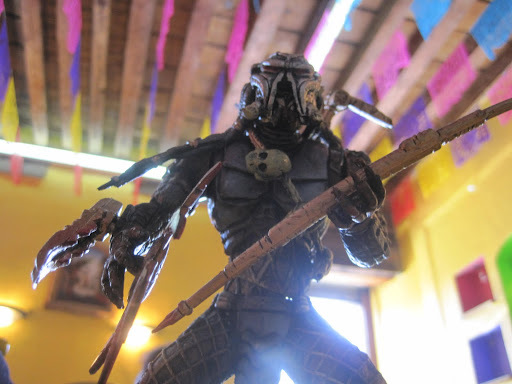 He found a Predator action figure (think Alien vs. Predator). I don’t fully understand the excitement, but this thing has some interchangeable parts and Danny sees resell value in its future. 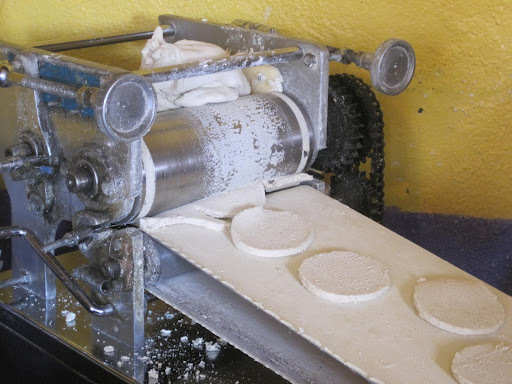 None of wanted a fancy meal (last night was steak night), and we had read about Gorditas Doña Julia. All the great things we had heard were dead on. 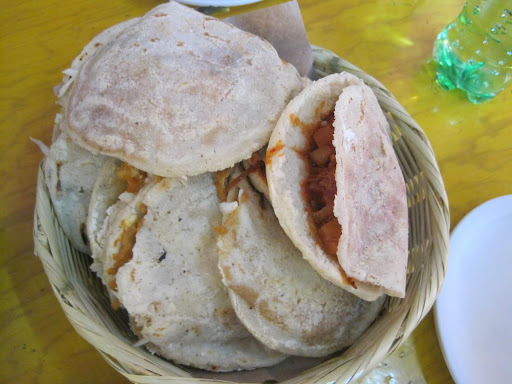 10 or 12 pesos each, great choice of fillings and excellent quality. 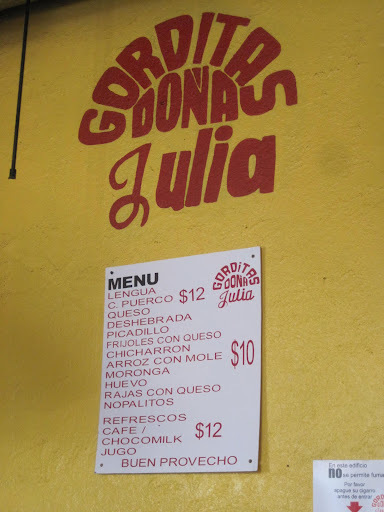 The concept is simple: seat yourself, fill out the order form, thank the joven for bringing you the drinks, wait two more minutes and a big basket of Gorditas arrives. Find which ones are yours and dig in. Yummmm. 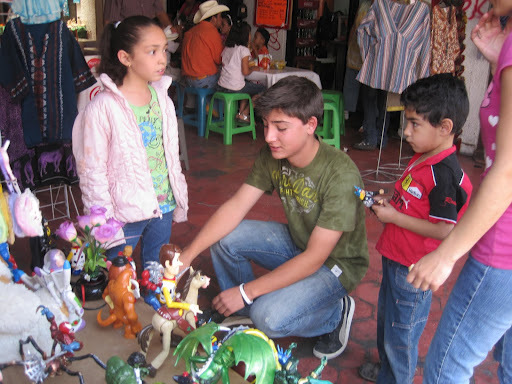 After that, we bought Danny some drawing supplies, traveled out to the “Centro De Plata” which was a bust (sort of open and more about selling than showing how things are made). Then we went to see the movie, The Adjustment Bureau which we all loved. After that, cab ride home, a stop for chocolate and back to the hotel room. Just the lazy day we all needed.